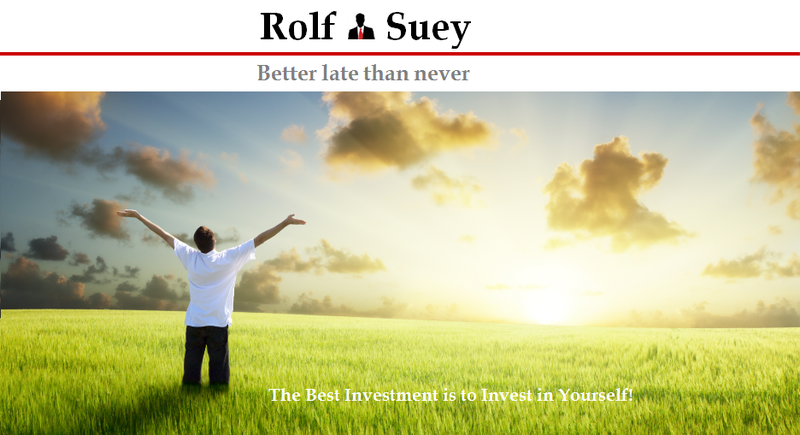 Rolf Suey - Better Late Than Never: Good Bye 2016, Hello 2017! This is the first week of 2017. Happy New Year everyone! 2016 ended remarkably well for me and my family as far as intangible non-material aspects of life is concern. My family is healthier both physically and spiritually. Relationships in my house improved tremendously too. Above all, we were blessed with a godsend baby boy due in few months time. Financially, while income and investment returns fall, overall financial status and net cash inflow (income minus expenses) for the year are very healthy. The year also ended well with a close to three weeks break from work for me and my wife clearing year end leave. This resulted in a family stay-cation at Sentosa and several gatherings with friends and siblings knitting closer relationships. Before we start recapping year 2016 notable events for the World and Singapore, I wanted to clarify I am not a pessimist. As far as I could, I tried my best to uncover more positive events but sadly there are few. I am not going to list down too many events, but in general 2016 is really not a fantastic year for the World and Singapore. • Terrorists attacks intensified globally - US, Brussels, Turkey, Berlin, Parkistan, Bangladesh, Indonesia, Thailand, attacks etc. • STI relatively unchanged ending at 2880.76 in 2016 compared to 2882.73 in 2015 year end closing. Very good health in 2016 compared to 2015. Medications are no longer necessary for my gastric and chronic-sinus sicknesses, which tormented me for years. My BMI was maintained in very healthy range of 24. Quitted smoking completely including those during social events. Wife encountered a glitch in health during pregnancy but it was completely healed without medications or operations. Kids are all healthy too! Existing hobby in 2016 such as Gym, Jogging, Swimming, Reading and Blogging still stay the same. Discover a newfound purpose or hobby if you will like to call it. This is definitely more important in life. Hence I will backslide on Blogging going forward. Last year I ended the similar post yearning to build strong and quality relationships with people around me in 2016. I must say I was blessed to be on target. I experienced hugely improved relationships with families, friends and colleagues. There are more gentleness and meekness in my life compared to the past especially towards the end of the year. I learn also to respect opinions more than before. The result – more peace and joy, expressed through love. Last year I mentioned my career objective for 2016 is just to keep my current job and to continue to have sustainable income. Nonetheless, it was a painful year, as I witness not only departure of many friends in the industry, but also almost all colleagues in my division in Singapore. I am the last man standing in my division. For how long, I do not know! TOTAL INCOME from decrease 12% in 2016 yoy. This is due to lesser bonus in salary as well as lesser income stream from writing free-lance O&G articles, and no baby bonus which was received in 2015. TOTAL EXPENSES grew however by 7% because of sale of car and fully paid car purchase, house renovations and income tax paid which was waived in 2015 because of newborn tax rebate. However because car is fully paid almost until 3Q2017 and there will be rebate of OMV, the savings will be realized in 2017. This means that 2016 expenses could have been lower. NET CASH FLOW decreases significantly by 33% due to lower income and higher expenses. exposure primarily in Swissco which had enter into JM. Incurred realized losses after dividends of 2-3% of entire portfolio. Including unrealized losses, TOTAL losses of portfolio accounted for 6% of entire portfolio! I had been reducing my exposure in stocks gradually throughout 2015 & 2016 and now my stock portfolio is only a mere 7-8% of my entire portfolio. Out of it, a large portion is invested as stocks in my SRS account. In view of the unstable environment, I feel more comfortable to hold 50-55% cash, 8-10% bonds, 33% precious metals in my overall portfolio. Dividend income dropped >50% due to the hoarding of cash and precious metals. NET ASSET VALUE rises 11% due to income consistently exceed expenses and also because debts are pared down as I continue to pay down my mortgage loan without taking any other loan. My objective in 2017 as follows. Good health, both spiritually and physically. Definitely strive to have continuously improved relationships with people around me with more love, peace and joy. Lead a frugal lifestyle striving to have no lacking in life and no debt (except for housing). Look forward to our newborn! Be a better person who can be blessings to others. Continue to build up the wisdom and knowledge in life. And to be at the right place at the right time and to do the right things at the right time also. To learn about the past so as to see into the future and always be orderly and plan ahead. That said, I will not worry about tomorrow, because tomorrow will worry about itself. Sufficient for the day is its own trouble. Wishing you and family peace, health, and happiness! Thanks for your well wishes. The same wishes mulitply infinite times be blessed on you and your love ones too! Thanks and Happy New Year too! congrats for all your achievements! seems like drilling activity is picking up in the ME area. and we have kinda moved pass the trough cycle. Thanks. It is not at all an achievement for me, but perhaps main expectation to start with was not that high. Good to hear about the drilling sector picking up. In fact ME region was doing reasonably well all this while despite the downturn. Yes, 2017 indeed looks like the trough! All the best of year ahead for you. Happy new year, and congratulations for the upcoming addition to your family! Thanks and Happy New Year to you too. We are eagerly awaiting the new member. I wish that grace and peace be with you too and your new career is treating you well. And very impressive that u are the last man standing ..U must be an impressive employee. Opposite to you in portfolio, 75% vested and 25% cash in non SRS. Wishing you a blessed 2017 and relationships more knitted! Maybe relatively impressive, not impressive. Relationships and luck among top management helps a bit. I reckon it still makes lots of sense to be vested now especially in income inflow. For me, it is more like an overall consideration of job and family expenses etc. Do not want the extra emotional burden during this pretty tough times in my work sector. Sleep better with cash supporting pillow. May you have a blessed 2017. I Would like congrats for all your achievements!!! Glad to see you quit smoking and becoming healthy, that's the most important! The rest are all bonuses which is why you are happier than before, congratulations! Thanks and congrats for being a promoted to be a mother. May you be so blessed with the peace and joy in your family.